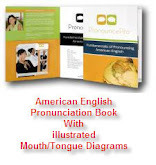 American English intonation can be difficult to master, and yet it is an important part of pronunciation. It is the music of the language, and conveys a great deal of meaning to listeners. Similar to a melody in music, intonation is the rhythm of your English speaking. Intonation: noun the manner of singing, playing, or speaking tones especially: the rise and fall in pitch of the voice in pronunciation. It can feel very strange to adopt the intonation patterns of another language. People often feel self-conscious making their voice rise and fall in ways that are very different from the pronunciation of their own language. Here is a strategy that many people, both native speakers and learners of English, find useful for intonation practice. First, you need a short text that you find interesting and meaningful. Try to choose a poem or paragraph from a story instead of a newspaper article. Literature and stories usually communicate more feelings than factual writing like magazine and newspaper articles. Read the paragraph to yourself until you are comfortable with it. Make sure you understand the meaning of the words and images. Check the pronunciation of unfamiliar words in your dictionary. When you are very comfortable with the meaning of your paragraph, stand up and read it out loud. The first time you read it out loud, it will probably feel a bit awkward, and you may not speak as smoothly as you would like. Make a note of any words or sentences that you find difficult, and practice the pronunciation of these sections out loud on their own. Try reading your paragraph again, but this time, move one of your arms to help you convey the rhythm of the language. When you feel your voice should rise or get louder, move your arm up. When you feel your voice should get softer, move your arm down. Now, try reading the paragraph in different ways. Imagine you are angry, and read it out loud. How do your voice and body change? Is your pronunciation different? Try reading your paragraph as if you were happy, excited or sad. Notice how the change in your emotion changes the intonation and meaning of your speaking, which will affect the pronunciation of your speaking. Now, finally, try reading the paragraph in a way that expresses the meaning that you think the writer wants the listener to understand. Try to get across the meaning that you find in your paragraph. Of course reading aloud is very different from speaking to people in real-life situations, but an activity like this can help you become more aware of how intonation in English pronunciation works. It gives you a chance to practice without having to worry about grammar or vocabulary, and will help you develop greater confidence when you are speaking English.